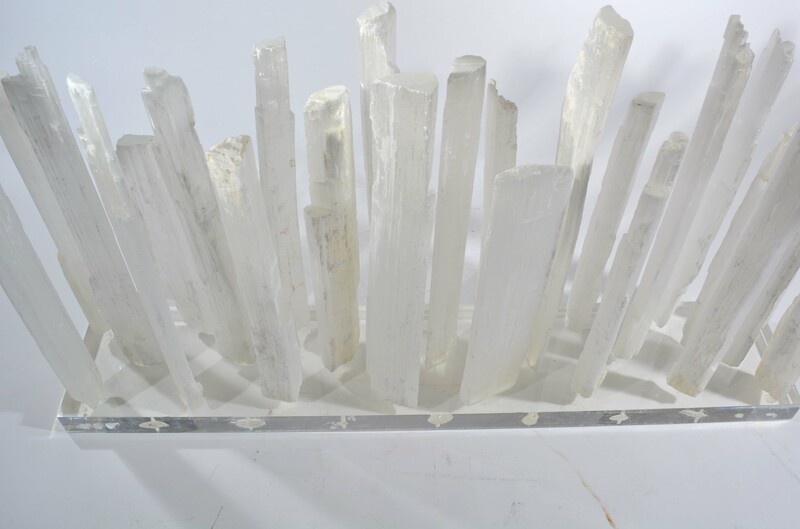 A stunning one-of-a-kind sculpture created by Ciro. 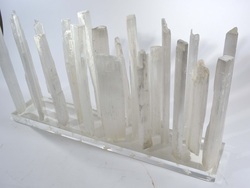 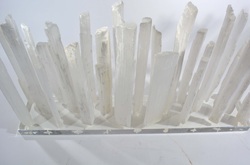 Selenite quartz crystals mounted on custom acrylic mount. 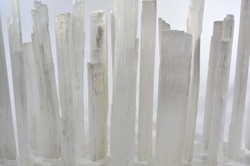 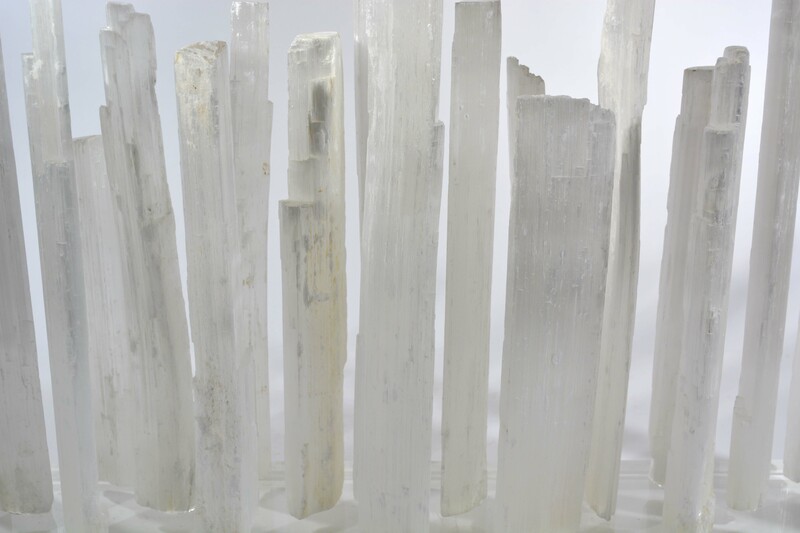 Selenite is said to create positive energy. 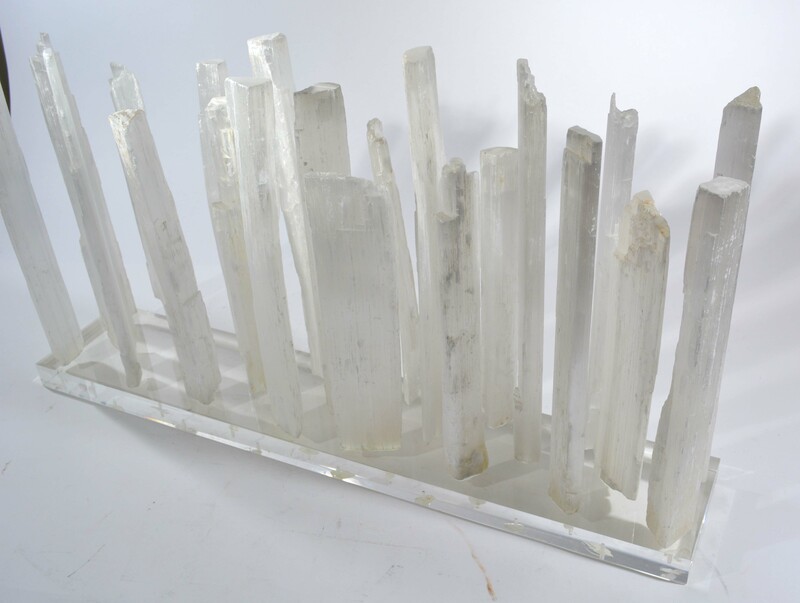 Place this work of art in the home or office for a dramatic organic accent. 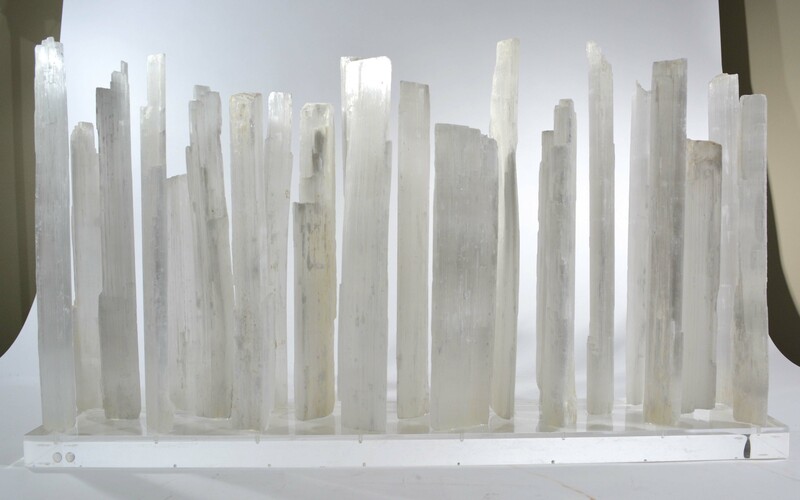 L 30" x D 6" x H 18"